Want to get away on Thanksgiving Day? 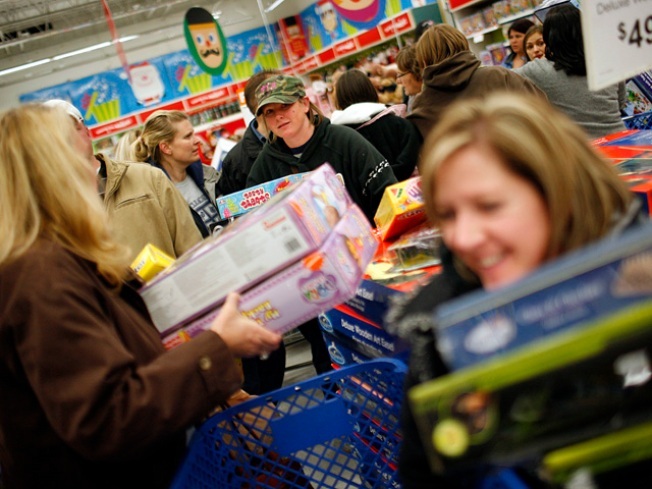 Avoid these crowds and get the shopping out of the way Thursday. If family time gets too much for youtoday, fear not because there are plenty of things to do on the national holiday we call Thanksgiving. And your to do list doesn't have to include retailers hoping to get you in the door ahead of the Black Friday rush. For instance, the 53rd International Auto Show in Moscone Convention Center isn't letting a little thing like turkey get in the way of its nine day run. Show hours are 10 a.m. to 10 p.m. The San Francisco Zoo is open every day of the year and that, of course, includes Thanksgiving. For the 19th year, KMart will open its door on Thanksgiving. What started as media stunt, has turned out to be a tradition for the discount giant. But there are plenty of new retailers joining the holiday party this year. One note here: if the store is inside a mall, like Westfield, it will not be open. If the store as a door to the outside world, then it most likely will be open with modified hours. And only by a technicality, but Toys 'R Us will also be open Thursday. They swing open the toy door at 10 p.m.
And if you want to do something to pre-burn off those calories you could get up bright and early and join 12,000 of your closest friends for the 2010 Turkey Trot in downtown San Jose. The run starts at Guadalupe River Park at 6:30 a.m.